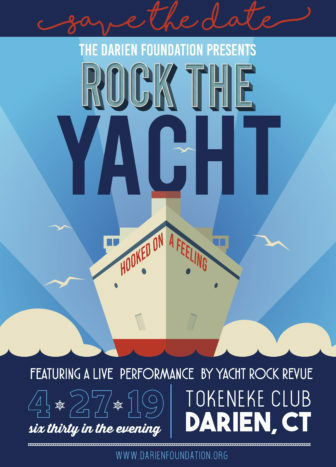 The Darien Foundation has announced that its’ annual fundraiser, Rock the Yacht, will be held on Saturday, April 27, at 6:30 p.m. at the Tokeneke Club. Similar to last year’s event, which drew nearly 400 guests, the evening will feature music inspired by Yacht Rock. “The 2018 benefit was such a great success that we are going to “Rock the Yacht” again in 2019 — it’s going to be amazing!” said Byrne Pozzi, event chair. The benefit will feature beachside cocktails and hors d’oeuvres, a buffet dinner with gourmet food stations, and sweeping views across the sound. Rock the Yacht — but don\’t leave the yacht on the rocks. The highlight will be a performance by Yacht Rock Revue—the band that has defined and popularized the Yacht Rock genre. Their vast playlist includes nostalgic covers by musical greats Steely Dan, Hall & Oates and Fleetwood Mac, as well as epic songs like Africa, Brandy, I Keep Forgettin’, Who Can It Be Now and Escape (The Pina Colada Song). Indeed, Yacht Rock Revue will tour again in 2019, in partnership with Live Nation and SiriusXM. Edwards added that because Yacht Rock appeals to a broad range of ages, it now has dedicated channels on both SiriusXM Radio and Spotify. The music compliments the seaside setting and yacht-like feel of the Tokeneke Club, whose facilities and staff will be exclusively dedicated to The Darien Foundation fundraiser that night. 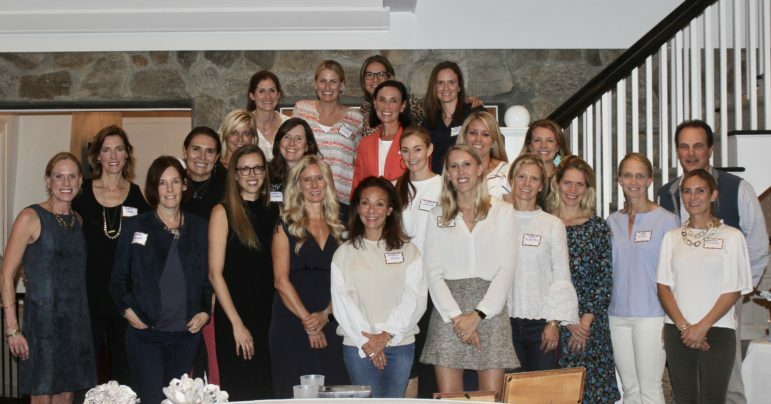 Members of The Darien Foundation’s Rock the Yacht Benefit Committee recently gathered to kick off planning for the event, scheduled for Saturday, April 27, 2019. Since 1998, The Darien Foundation, a non-profit organization, has funded more than $4.2 million in grants for technology and capital initiatives which create opportunity for Darien’s youth, support our town’s safety and security services, and enhance the overall quality of life in Darien through collaboration with community organizations. Tickets will be $200 per person ($100 is tax-deductible) and all proceeds will be directed to supporting grants awarded by The Darien Foundation. Please save the date and help us in Building a Better Darien! Byrne Pozzi — benefit chair, Kathy Arrix, Kesti Aysseh, Jessica Blouin, Margit Bluestein, Susanna Burns, Tiernan Cavanna, Marla Chandler, Kelly Clifford, Kerry Coppola, Kristin Peterson Edwards, Suzanne Flannery, Jennifer Foster, Courtney Galligan, Brooke Gies, Carol Glassmeyer, Michelle Gottfried, Nicole Harder, Jill Harvey, Elizabeth Hole, Anne Holmes, Cathy Jefferson, Lindsey Kaiser, Kerrie Kelley, Kristy Kennedy, Lisa Koorbusch, Keri McBride MacColl. Also, Maggie Machir, Kathryn Mann, Hillary Miller, Janel Mitchley, Coren Moore, Jennifer Morici, Courtney O’Connor, Lindsay O’Donnell, Ariana O’Malley, Jaymie Pavolonis, Kristina Puff, Sherry Ramsay, Whitney Ranson Julianna Spain, Lauren Swenson, Jenny Tarleton Vail Weymann Vasisht, Medora Westcott, Ward Glassmeyer – chairman, and Sarah Woodberry – executive director.